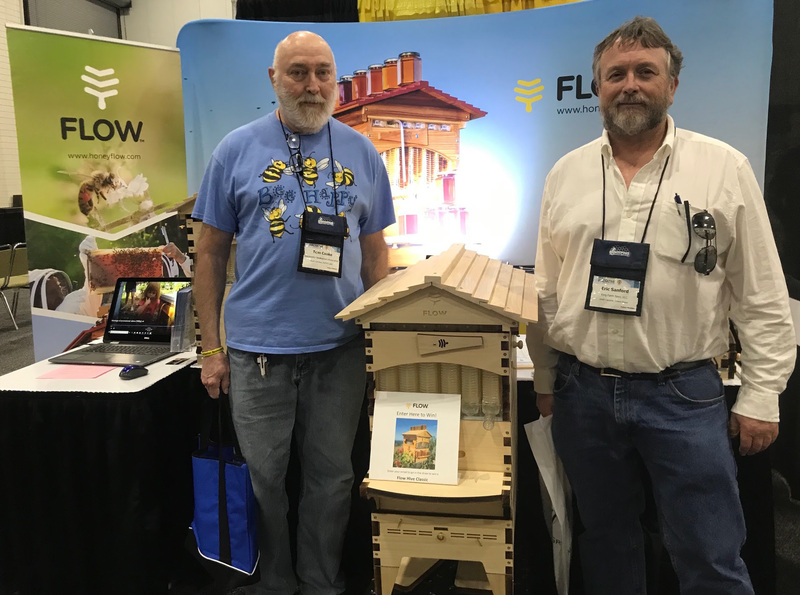 Flow will be having a stall at the American Beekeeping Federation Conference and Tradeshow with our USA Event Representatives Nanette & Scott Davis. ** *Please come by – there’s even a competition and you could win a Flow Hive. Meet Nanette Davis, local Master Beekeeper and Flow representative on the ground in the USA to represent us at beekeeping events. Nanette has been fascinated with bees from an early age when she rescued a bee from her bedroom window, only to discover another bee and another, and still another upon coming back from releasing the first. Her family discovered that a swarm of bees had landed on their house in search of a new home. The swarm decided not to stay, but the wonder of the moment never left her. That memory eventually inspired her to become a beekeeper more than thirty years later. 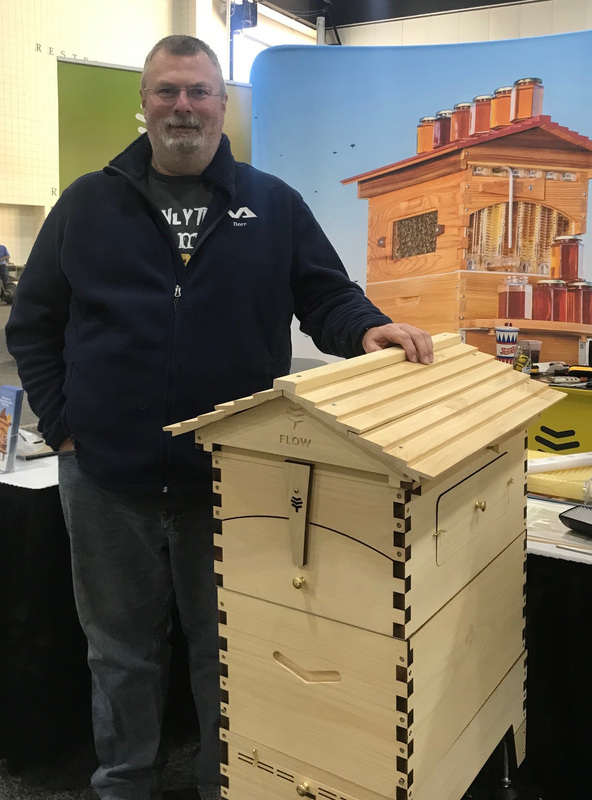 Congratulations to the winner of our donated Flow Hive Hybrid 3 frame door-prize – Mr. Paul Franek, a beginner beekeeper who attended the Bee School to learn how to be a beekeeper. Winner Mr. Neal Kobere who was very excited to win the Flow Hive Classic Araucaria 7 frame and will be adding it his teaching apiary. Nanette talking bees at Montgomery County Fair. Conroe, TX. We are looking for other large beekeeping and homesteading events. If you would like us to attend your event, fill out our form, and we’ll be in touch about our schedule. We also donated a Flow Hive Classic Araucaria 7 Frame to the localBlackwater Beekeepers Association in thanks to their efforts assembling the Hives for the Conference. Pictured are Tom and Eric from the Association. While we were at the event we caught a presentation by Sarah Red-Laird, Bee Girl. You may recall that her Seeds for Pollinators Project received funding from ourPollinator House sales. We have been enjoying getting to know the many event organisers and volunteers across the States as we are almost into our 4th year since launching the Flow Hive. 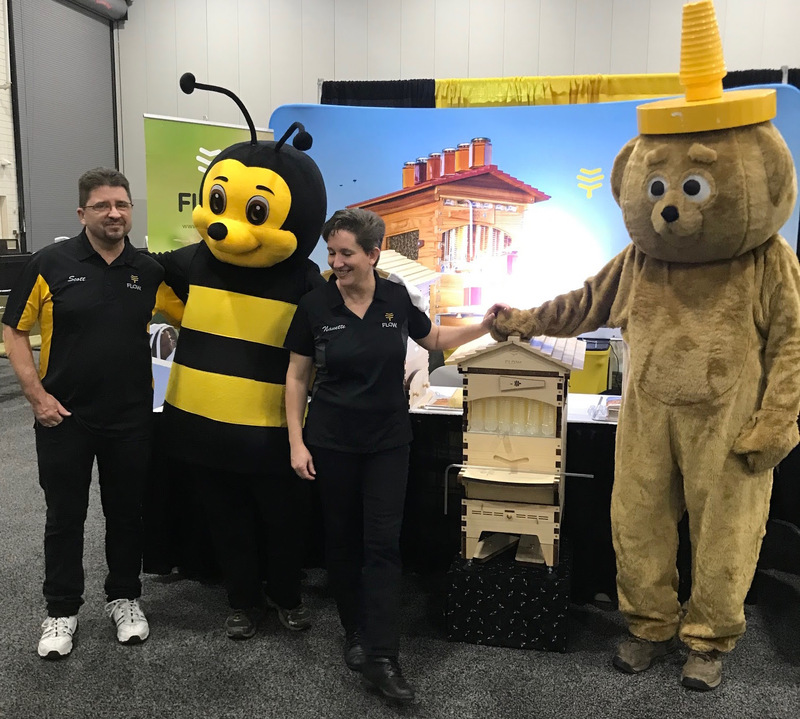 Pictured here are Flow Event Reps Scott & Nanette Davis catching up with Becky (in the bee suit), Joel (in the honey bear) and Jay (taking the photo) from the Tennessee Honey Convention. The good news is that we plan to attend more events in the USA this year, and the secret’s out: Stuart Anderson , Flow Hive Co-Inventor and Director , will be joining Nanette & Scott Davis at some key events this year. We will let you know all about them, remember to check our Events Directory for the details, and we hope to see you there! PS : Do you know an event that would be perfect for Stuart to speak at? We are welcoming your suggestions, let us know about it here.